Doing your bit for the environment doesn't have to be complicated. Steph from Expert Home Tips is here to share 10 easy ways to be more eco-friendly that you can start putting into action today. Around 125 million mobile phones are treated as unwanted items every year in the UK, and as new models continue to be released, this number is sure to grow. As one of the biggest consumer holidays of the year, Black Friday has grown and grown. But as more people are buying new tech, recycling old tech hasn't grown at the same rate. By not recycling their old gadgets, Londoners are missing out on cash in their pocket which could go a long way this Christmas. When it comes to home renovation, installing a new water system is a big job. That's doubly true for Londoners, who tend to pay more for a local heating engineer to do the work. Whatever the cost, it's a job that's good for the environment and should help improve the energy efficiency of your property. One detail that can be a bit of a headache, though, is what to do with your old water heater. Technology products have become a huge part of our lives. No access to a laptop, computer, tablet or smartphone, even just for one day, would be a struggle for most of us! Whilst technology has become essential in today's world, its spread has also brought about a number of problems. One of the most concerning of all is the increase of e-waste. This is all electronic products such as mobile phones, computers, TVs and so on, that have become unwanted, non-working or obsolete and are thrown away instead of recycled. This coming weekend keep an eye out for Charity Fashion Live. The Restart Project is a people-powered platform for change, working with communities, schools and companies to help people value and use their electronics for longer. Their aim is to drive a global movement away from throw-away culture. Martina Randles, the founder of Jumble Trail, talked to us about how Jumble Trail started, what her job involves and why she loves it so much. 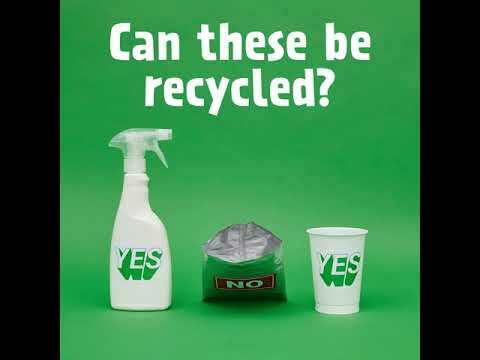 We’ve had a great start to Recycle Week here in London. At 8 o’clock this morning we were down at the Southbank luring passers-by into our Portaloo confessional booth – exchanging confessions of their worst bathroom habits for rolls of toilet paper printed with hints and tips about recycling from the bathroom.